NFS projects should be designed and implemented to promote permanent conservation of carbon stocks and biodiversity. The aim is to build resilient conservation areas that are well governed, locally supported and aligned to economic development. The relevance and appropriateness of specific measures to deliver permanence varies between project locations, so the NFS is not prescriptive about the measures to be implemented. This section provides some general guidance on how permanence can be promoted and how verifiers and risk assessors may evaluate the adequacy of these measures. 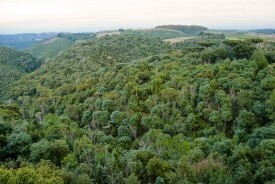 Projects should seek to understand the nature of threats to the forest within the project area. Specifically, projects should seek to understand the behaviour and motives of groups that present threats. Projects should consider whether the planned protection measures are likely to provide temporary respite or a long-term solution to the issues affecting these groups. Projects should consider the extent to which underlying problems such as income security and access to resources may be resolved in a way that provides a stable long-term relationship between these groups and the forest area. Projects should consider the potential for using and strengthening local legal frameworks for protecting Natural Forests. The establishment of areas protected by local laws can, in some places, be an effective protection measure. Projects should consider what the requirements will be for monitoring and enforcement of protection measures over the long term. Sustainable funding models for monitoring and enforcement should be created so that monitoring and protection can continue beyond the timeline of carbon credit sales. Projects should consider establishing effective, durable governance structures that can continue beyond the timeline of carbon credit sales. Governance structures need to have sufficient buy-in and authority to be sustainable. 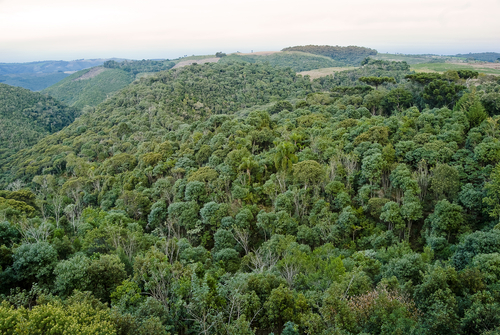 The FAO’s “framework for assessing and monitoring forest governance”, while aimed at national level, provides a useful guide for assessing areas of weakness that may require attention. Projects should seek to develop an alignment between conservation of natural forests and economic development. Projects should consider how revenues from carbon credit sales can be invested in economic activities that are consistent with forest conservation.